Participants learning how to mend garments at a "Fashion Clinic" workshop in Hong Kong. 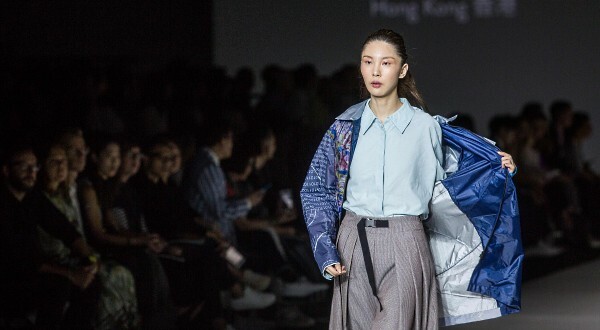 HONG KONG - Despite Hong Kong's reputation for rampant consumerism, a nascent movement against fast fashion is taking root in the city, with clothes-mending workshops and pop-up swaps growing in popularity, and designers parading recycled fabrics on the catwalk. He turned the sofa's leather cover into a jacket and has since made clothes from old curtains and bed linen, as well as a raincoat using umbrella fabric. "If you don't feel like wearing this, you can give it to others and it doesn't matter if it is a boy or a girl," Lee told AFP. Global consumers purchased 60 per cent more clothing in 2016 than in 2000 and only kept each item half as long, a report by McKinsey consultancy found. Hong Kong alone sends 343 tonnes of textiles to the city's overloaded landfills every day and a 2016 report by Greenpeace found a sixth of clothes owned by residents were seldom or never worn after purchase. "Many people are turning their backs and saying 'I have more clothes than I can possibly wear," she told AFP. 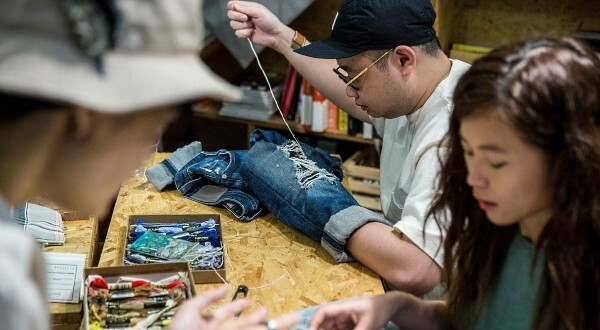 Shocked by the volume of clothing and the pollution produced by major brands, Hong Kong designers Kay Wong and Toby Crispy founded "Fashion Clinic" to help people mend garments. "Fast fashion makes people dispose of their clothes so easily, because clothes are too cheap and it seems to cost nothing to toss out the old ones," Wong told AFP. "After they learn stitching, they can repair many things, like worn-out shirts or socks," Wong said. "The patches look like new embellishments," he told AFP, adding that the jeans were now more valuable to him because he had fixed them himself. A cutting-edge "upcycling" spinning mill that turns discarded clothes into new yarns will go into full operation in the city in October, developed by the Hong Kong Research Institute for Textiles and Apparel (HKRITA). Edwin Keh, CEO of HKRITA, said the recycled yarn will be "as good as virgin materials", while the selling price will be 30 per cent lower. "Whereas China doesn't want to import other people's rubbish, they are very happy with importing yarns and fibres, so that's what we are going to do," Keh said. "If in a crowded city like Hong Kong we have come up with this solution to deal with our own waste, any city in the world should be able to have that kind of local solution."